The killing of University of Pennsylvania student Blaze Bernstein highlights an “important gap” in laws regarding the protection of the LGBTQ community, California Sen. Janet Nguyen said today, as she announced a new state law proposal that would add sexual orientation and gender to the charge of special circumstance murder. Bernstein, who was gay and Jewish, was stabbed to death last month, allegedly by former high school classmate Samuel Woodward. The possibility of sexual orientation as a motive has not been ruled out by investigators, Nguyen said. The penalty for special circumstance murder is life without possibility of parole or the death penalty, while penalties for first- and second-degree murder are less severe, Rackauckas said. He didn’t discuss if Bernstein was killed because he was gay, but says the investigation brought the issue to his attention. 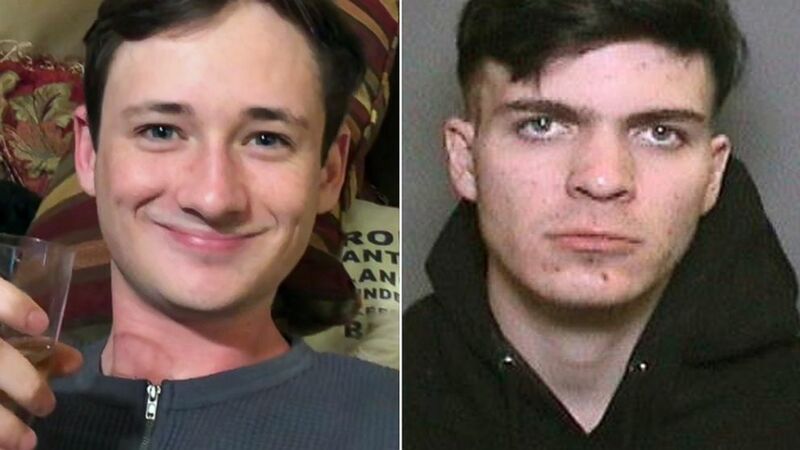 This undated photo provided by the Orange County Sheriff’s Department shows Blaze Bernstein, 19, as they seek the public’s help in finding him. Bernstein, 19, was at home in Southern California for winter break when he went missing on Jan. 2. After an extensive search, his body was found on Jan. 9 in the brush surrounding Borrego Park in Foothill Ranch, the Orange County Sheriff’s Department said. Woodward — Bernstein’s former classmate at the Orange County School of the Arts — was arrested on Jan. 12 and has been charged with murder. Woodward, 20, allegedly picked up Bernstein from his home the night he went missing, the Orange County District Attorney’s Office said. Woodward is accused of stabbing him to death and burying his body in the dirt in the perimeter of the park, the district attorney’s office said. Woodward pleaded not guilty this afternoon. His bail was set at $5 million. While special circumstance murder cannot be applied in the Woodward case, a hate crime charge has not been ruled out. Blaze Bernstein, left, and Samuel Woodward. Rackauckas called it a “glaring omission” that sexual orientation isn’t included in California’s special circumstance murder legislation. Gideon and Jeanne Bernstein, the parents of murdered teen Blaze Bernstein, speak to KABC in Orange County, Calif., Jan. 17, 2018. Gideon and Jeanne Bernstein, parents of missing teen Blaze Bernstein, are joined by Orange County Sheriff’s Lt. Brad Valentine, right, during a news conference in Lake Forest, Calif. on Jan. 10, 2018. Woodward’s next court appearance is March 2. ABC News’ Larry Dechant and Clayton Sandell contributed to this report.